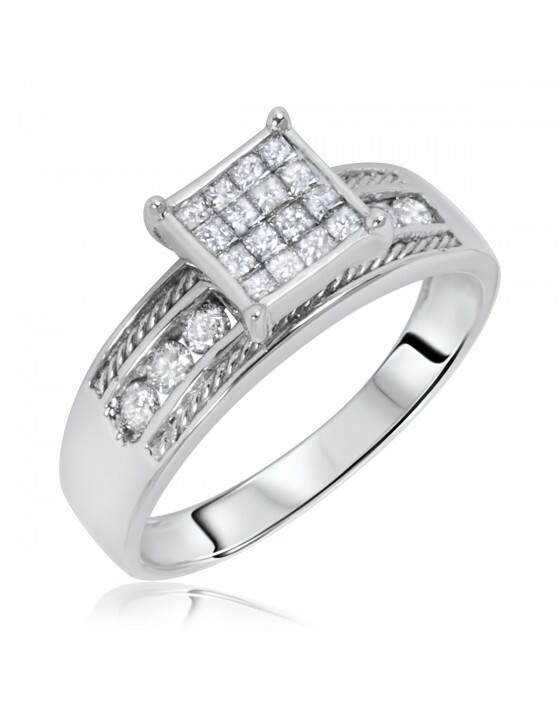 The engagement ring shows off an attention-grabbing Princess Cluster head with milgrain design carved in 14K White gold. 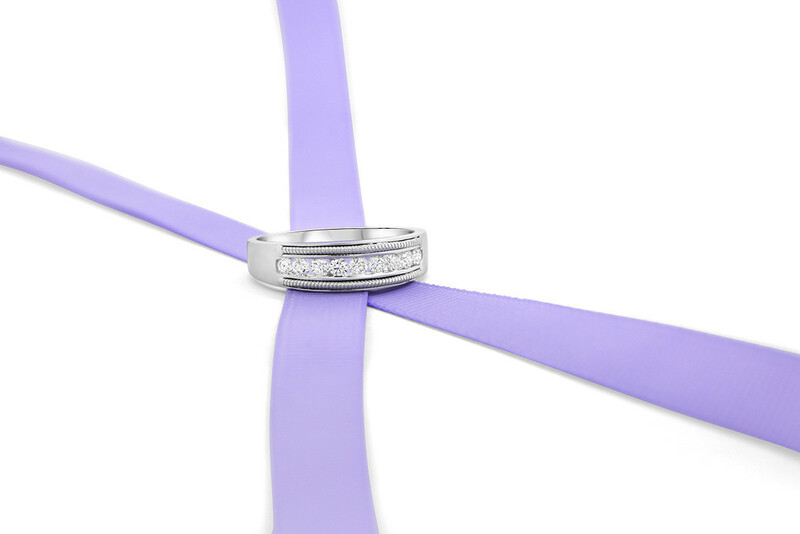 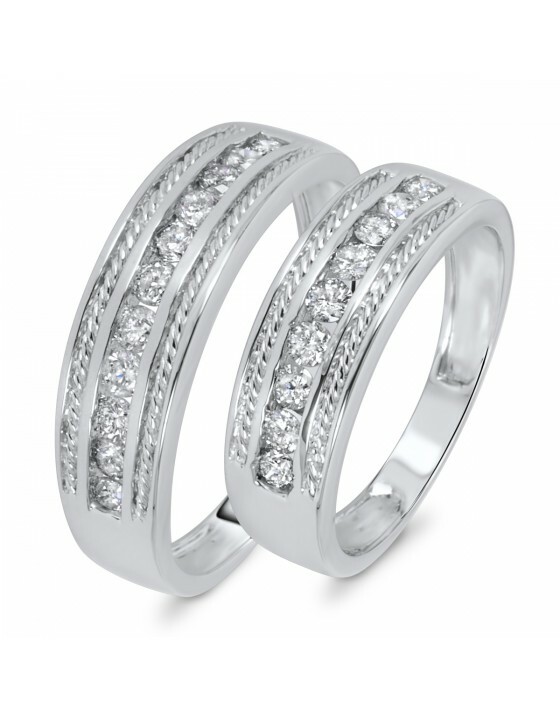 The milgrain finish with surrounding diamonds perfectly matches with the ladies wedding band in the set. 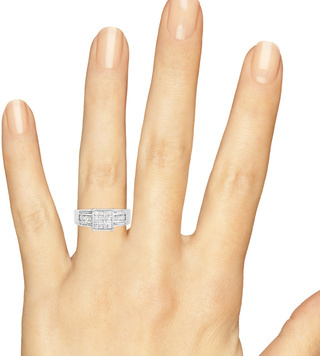 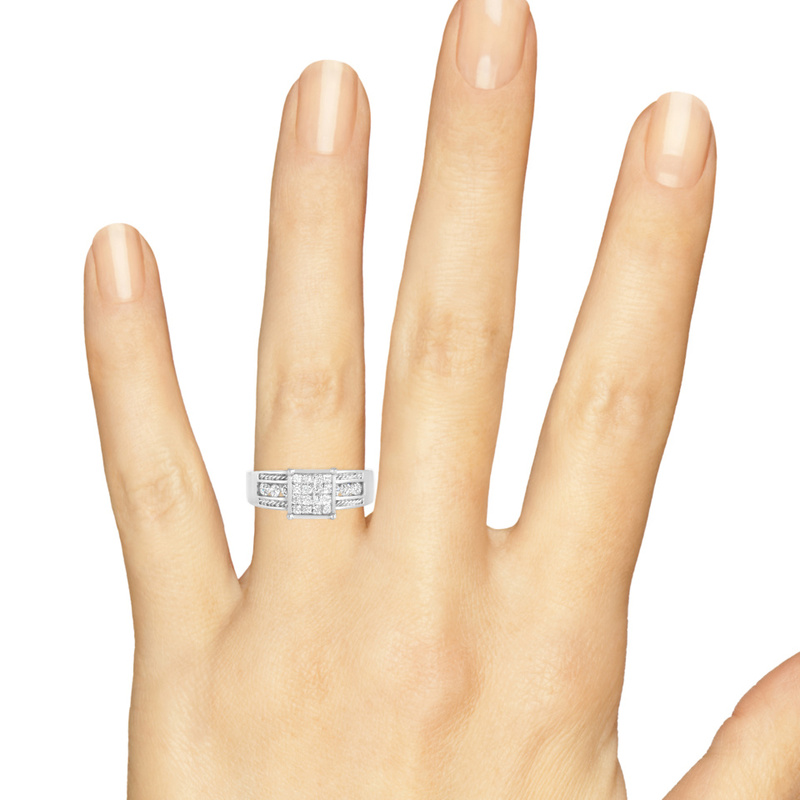 This lovely engagement ring holds 2/3 CT. of diamonds. 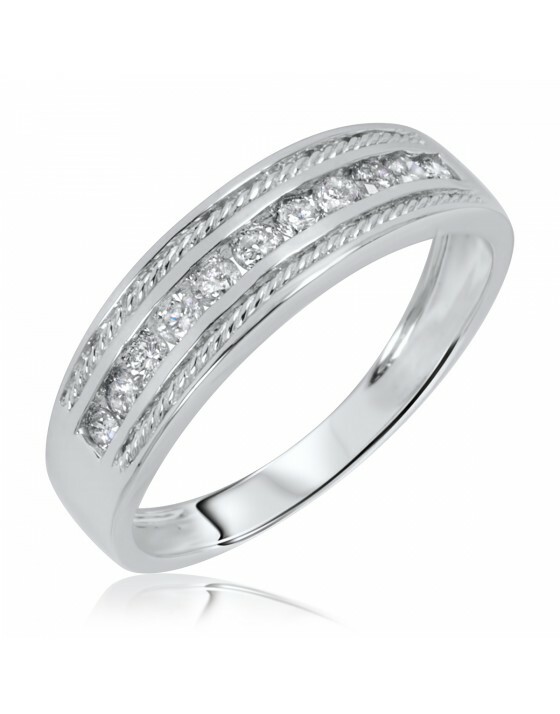 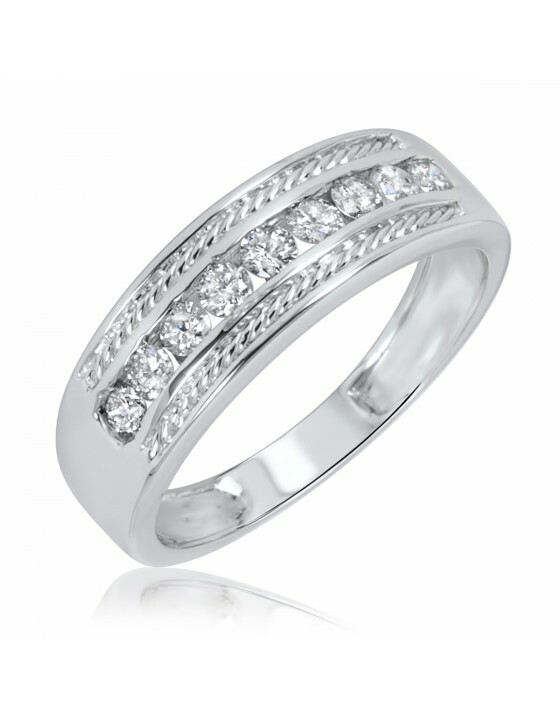 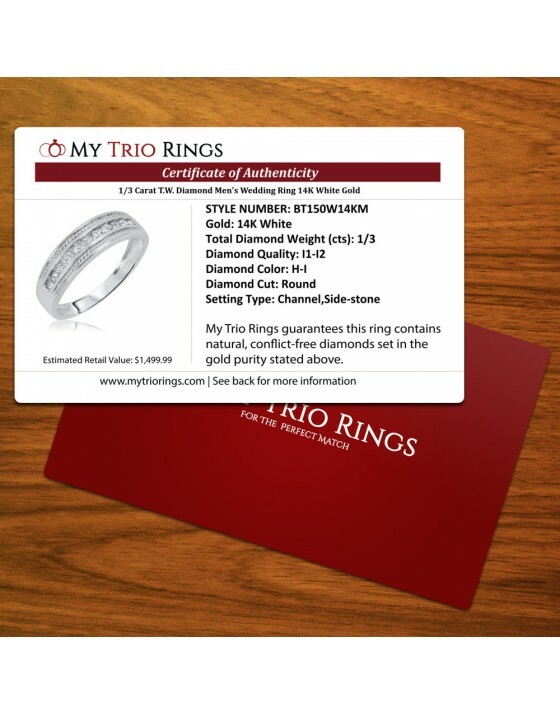 This diamond ladies band has a prominent look with its distinctive width and milgrain detailing. 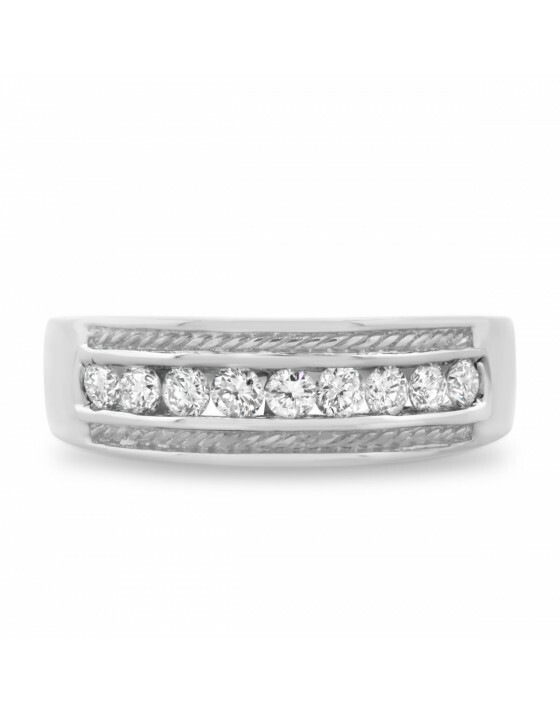 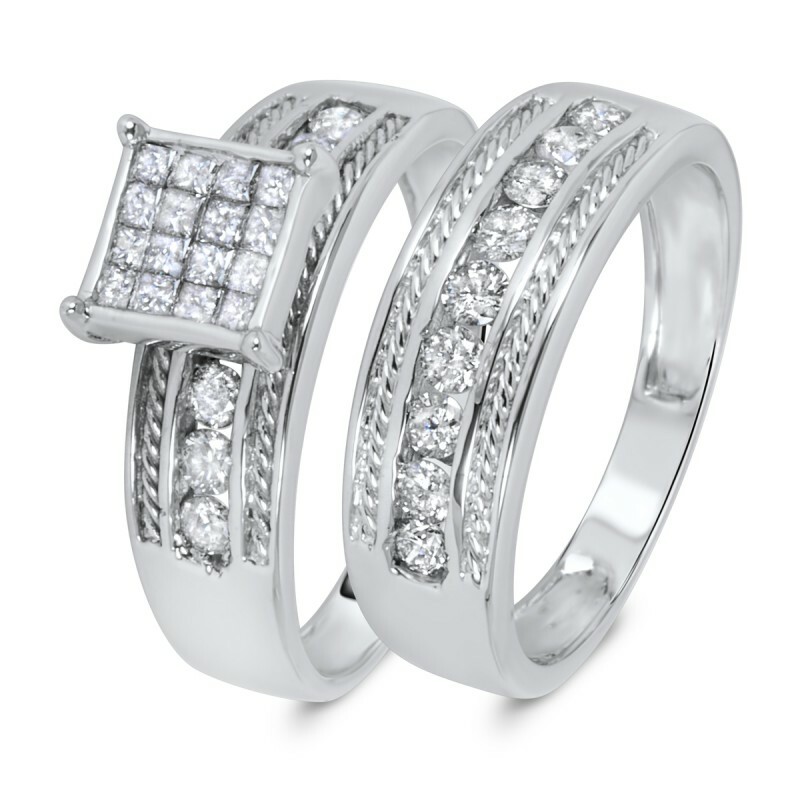 A row of round diamonds in channel setting covers the front of the band for added brilliance to the set. 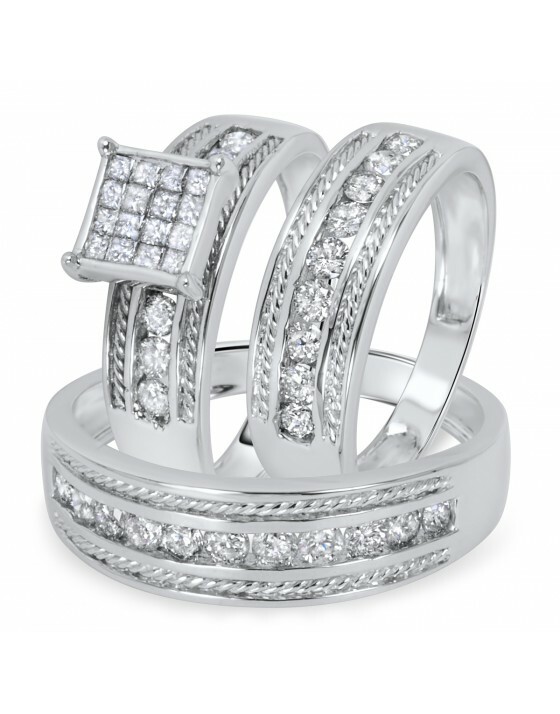 Put this ring against the engagement ring for a stunning set that will make a strong display of commitment.